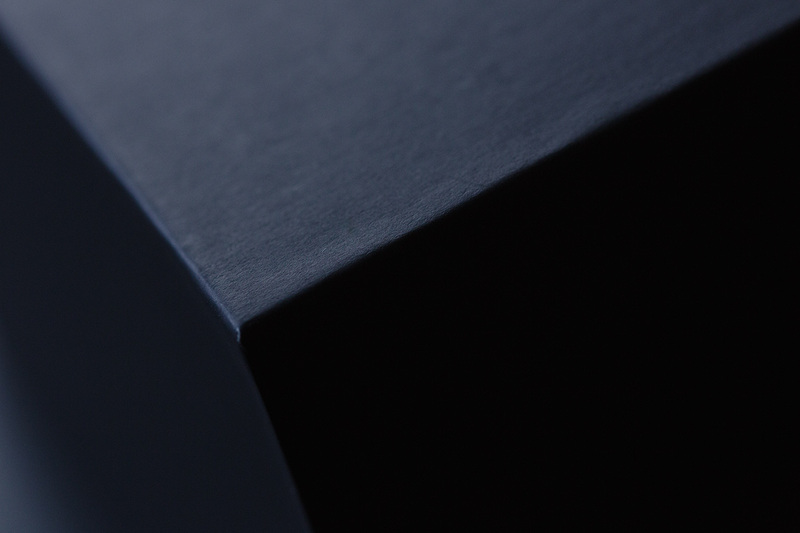 An appointment with Arts and Crafts. 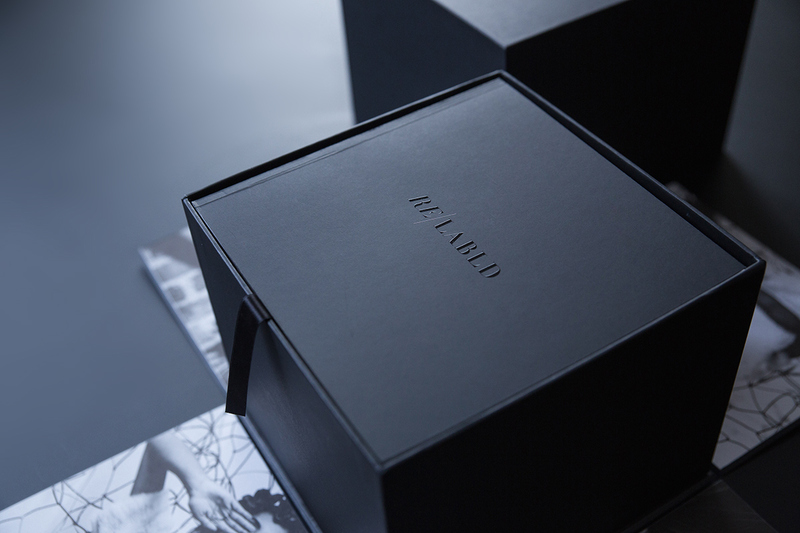 The particular Italian know-how that mixes design and handcraft brings packaging to a new level of perfection. 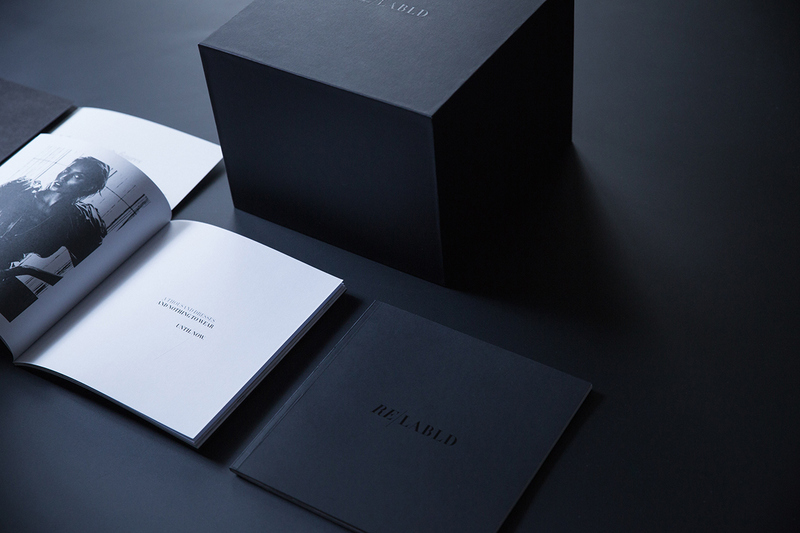 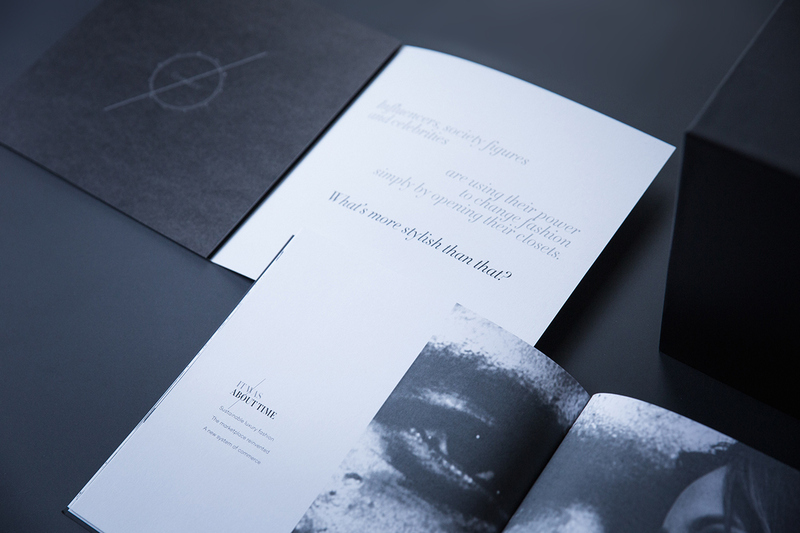 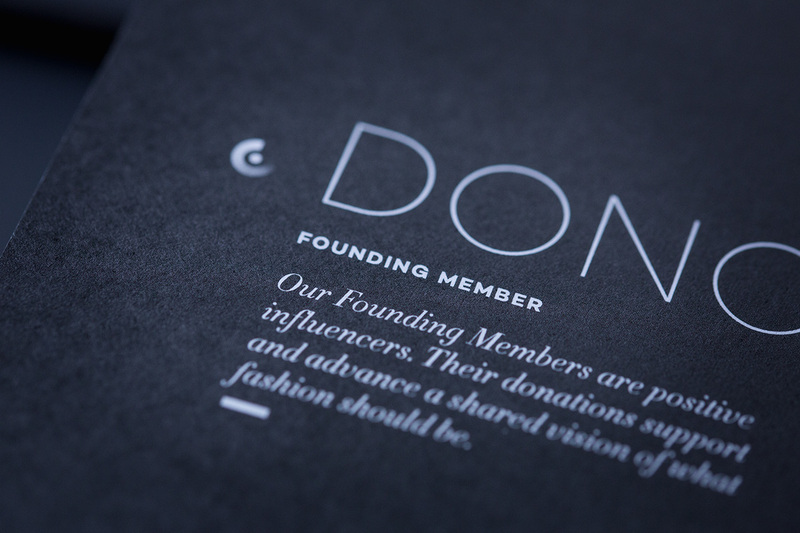 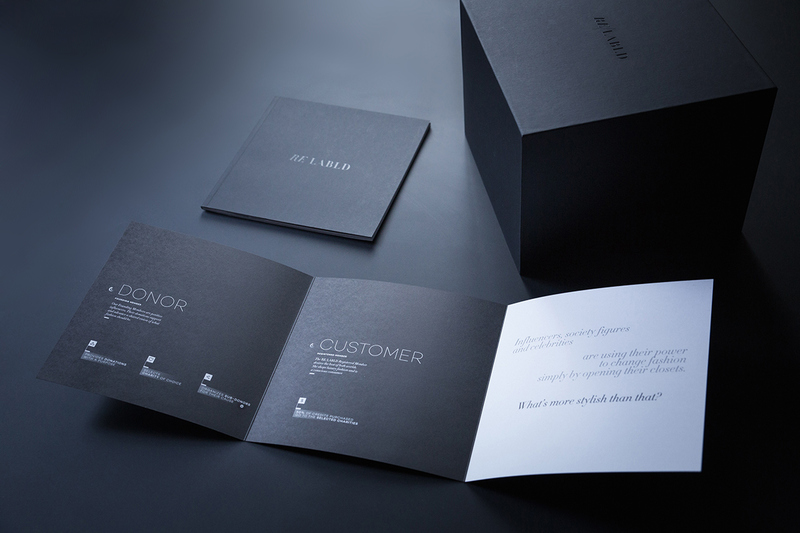 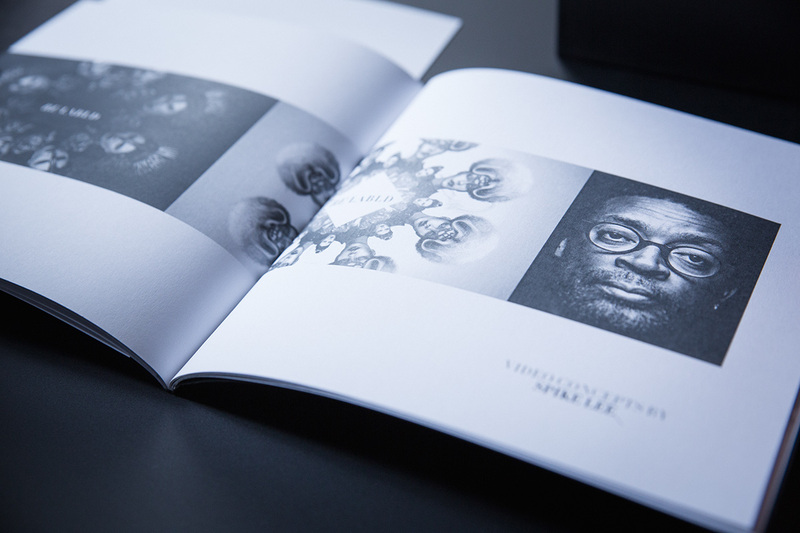 The Re/Labld press-kit has been designed to enhance the feeling of Immortal Fashion. 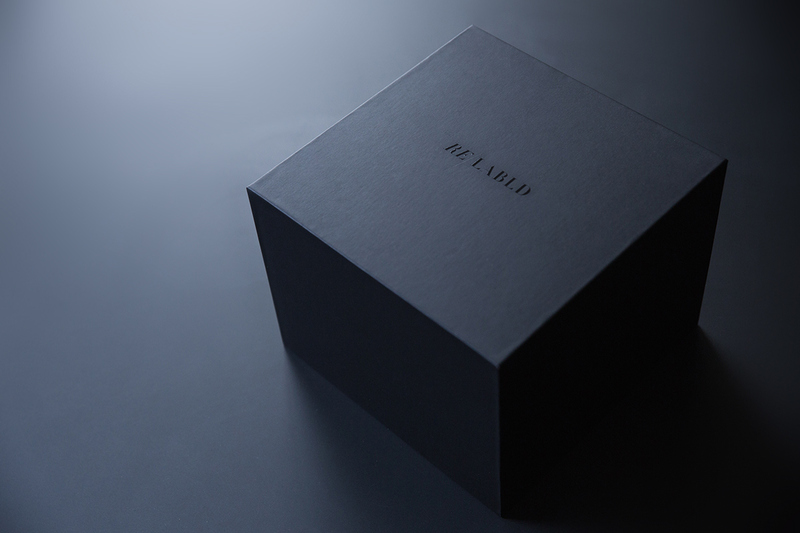 The simple lines, the straight edges - a masterful craft technique - and the black dress make of this box an unique piece, as glamourous as the items exchanged at the Chicago-based relabld.com. 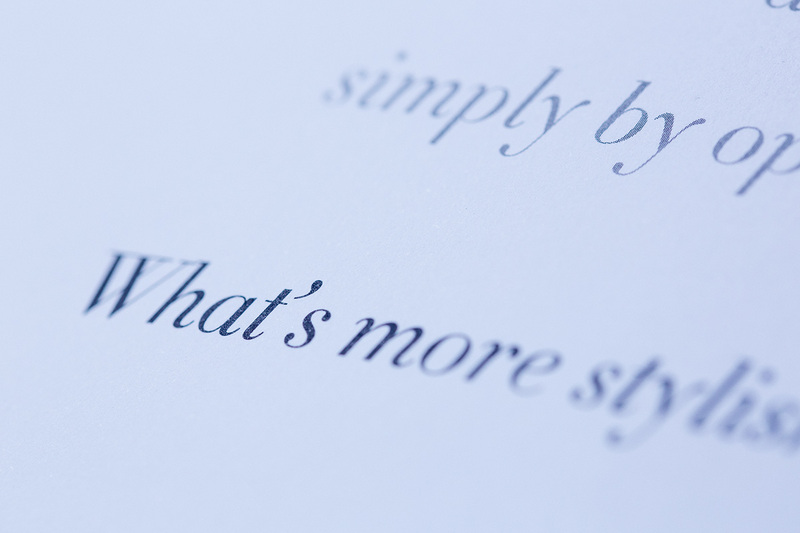 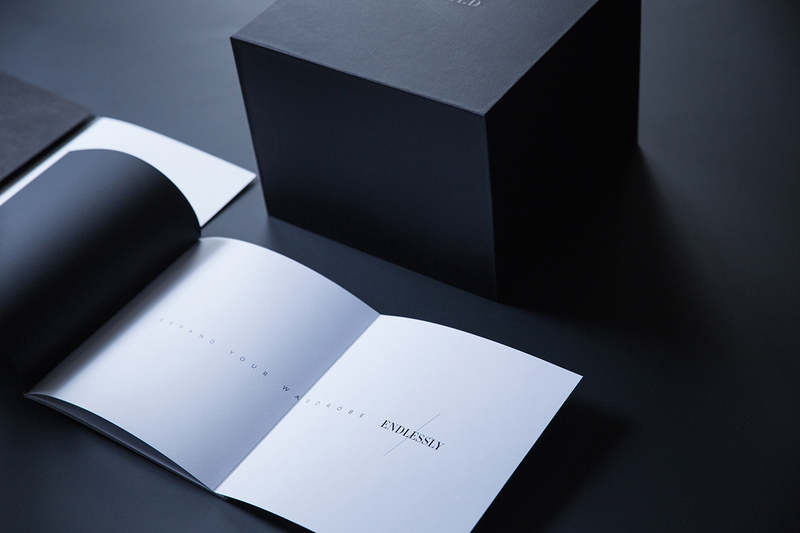 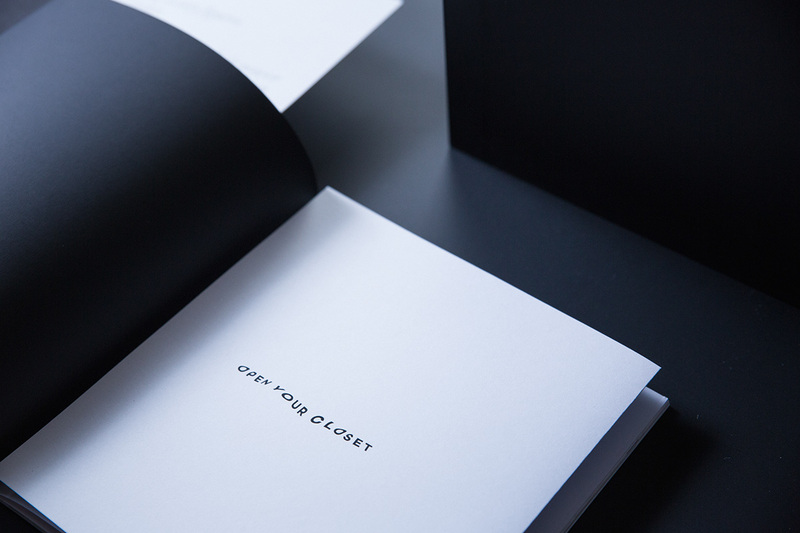 The essential shape, carved to perfection and covered in Ispira™ paper by Fedrigoni™, reveals itself upon opening, when a four-leafed flower blossoms and the full press-kit is revealed. 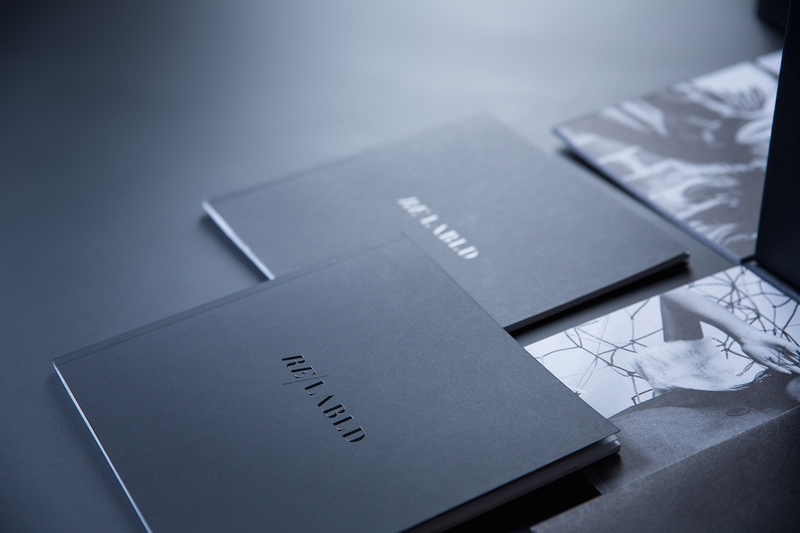 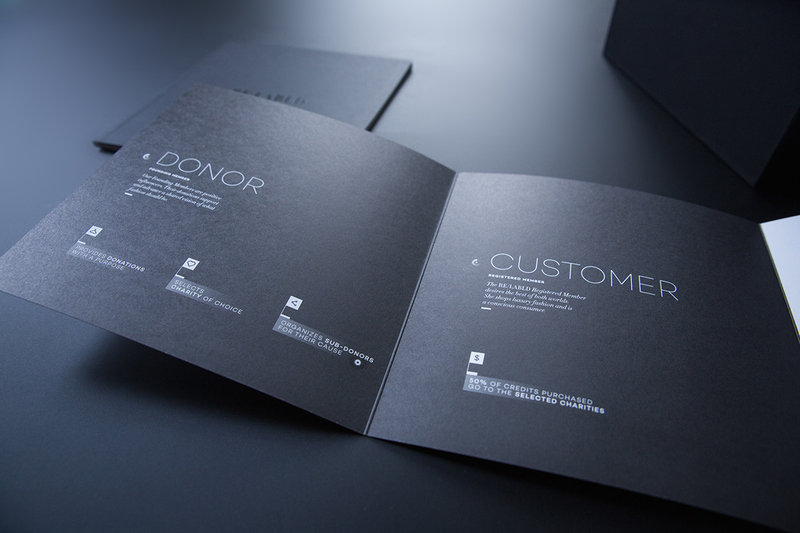 Inside, a brochure, a look-book and a charity folder recount the tale of the groundbreaking experience you can live at Re/Labld. 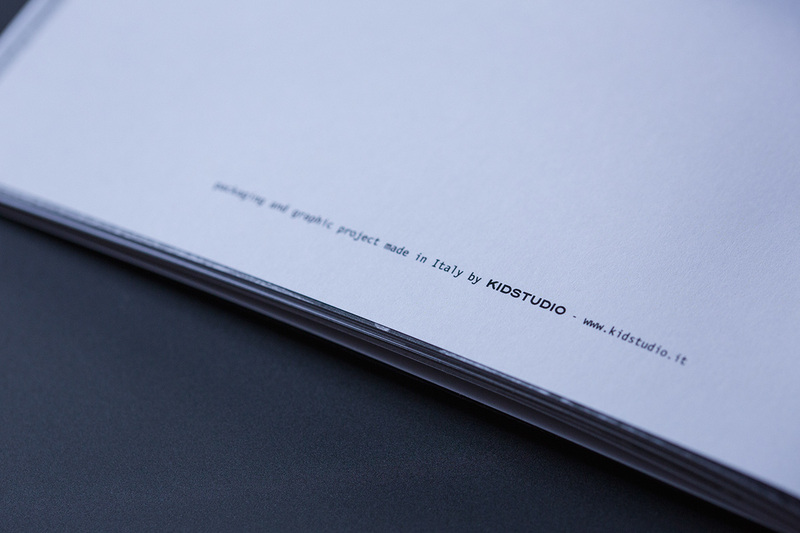 In three words, the Real Italian Design. 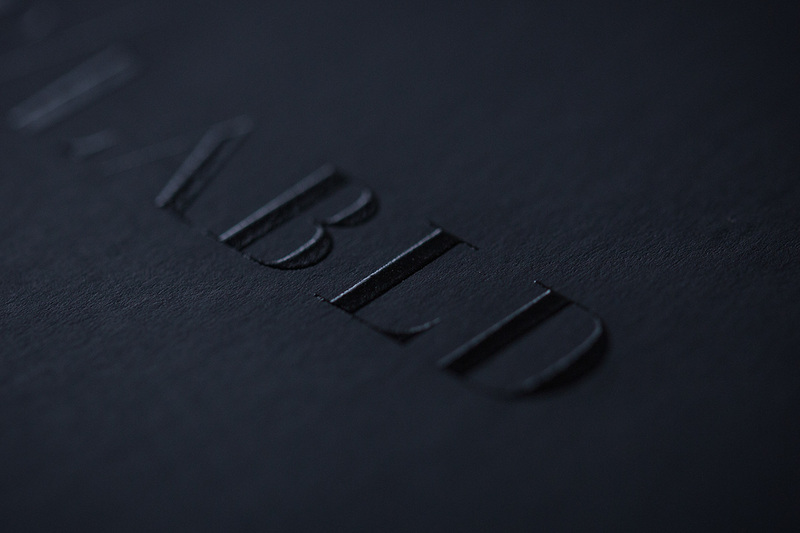 All, built piece by piece with the best materials and in the quintessential elegance of our worldfamous handcraft skills.